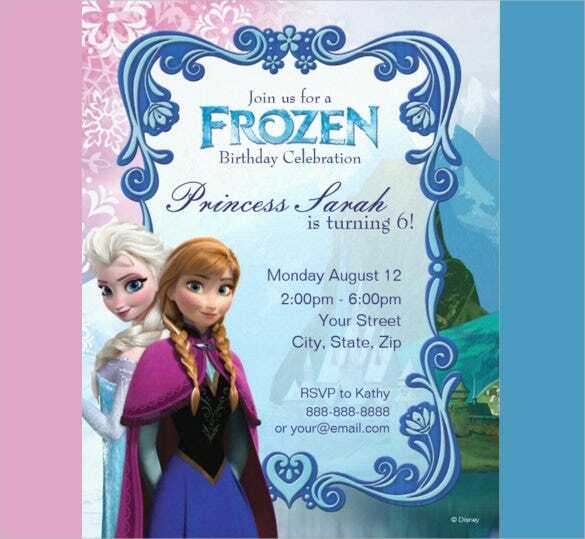 Nothing can puff your daughter’s heart with love and smile as compared to the moment when she stands amidst all her friends, on her birthday with her head held high, singing and cheering like princess Elsa from frozen. 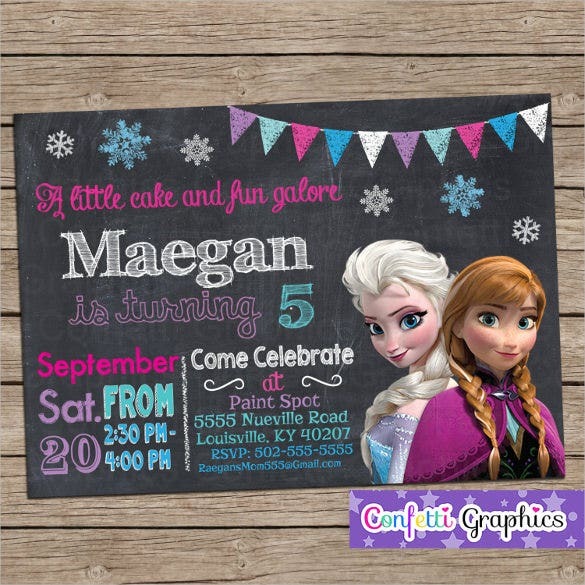 This is the birthday party she so heartily demands and your work start with a cute looking Disney special frozen themed invitation. 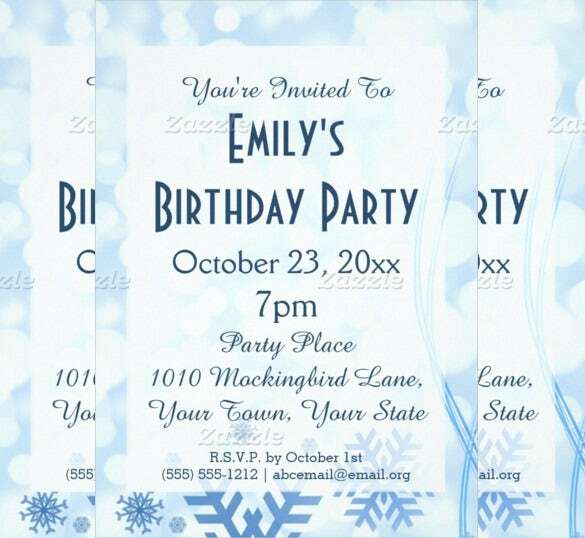 you can also see 50th Birthday Invitation Templates. 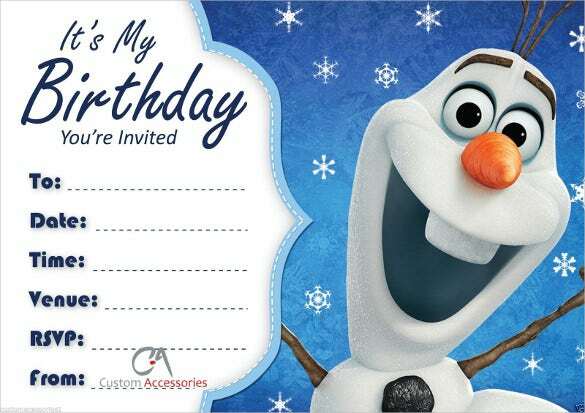 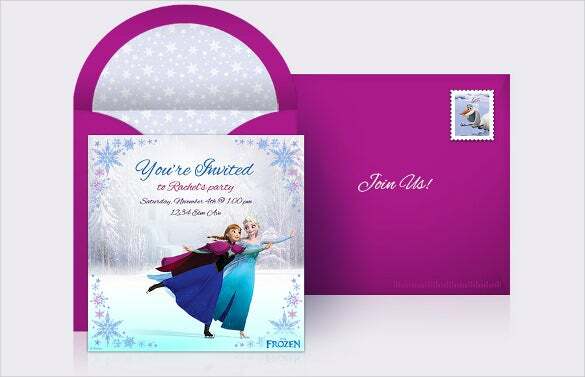 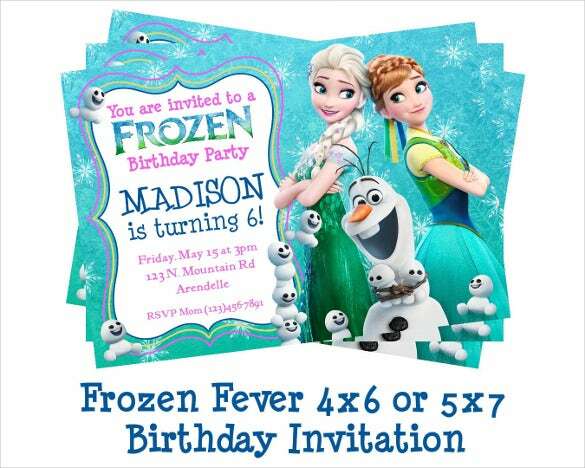 You can now choose from our special frozen oriented birthday invitation samples and help your daughter live her dream Disney style. 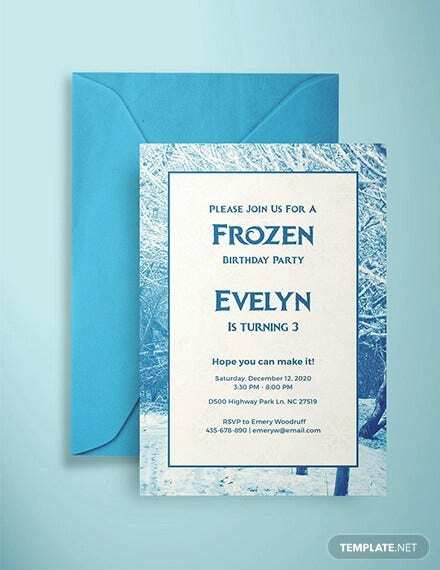 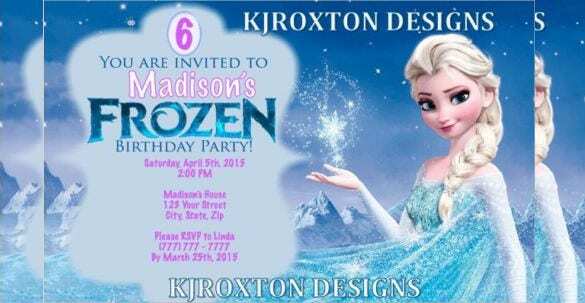 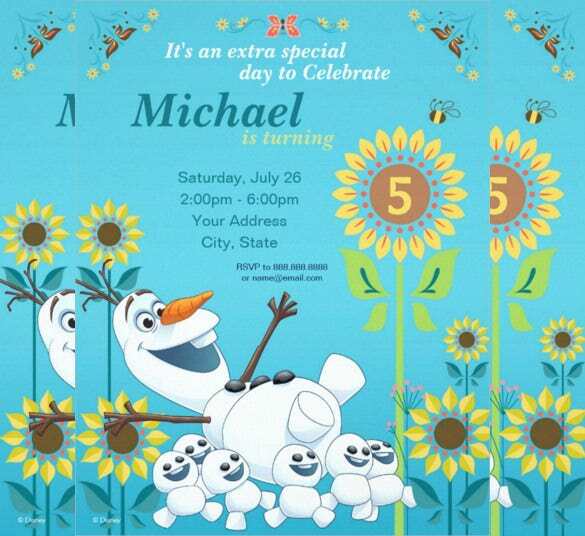 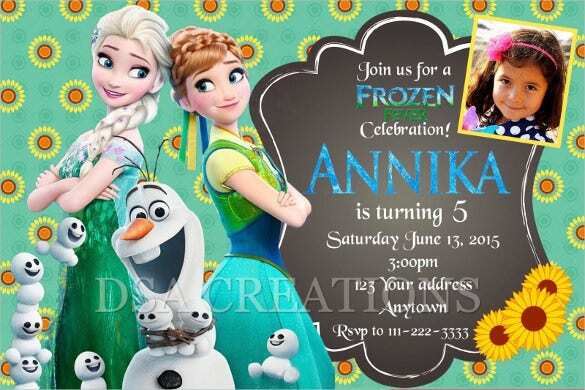 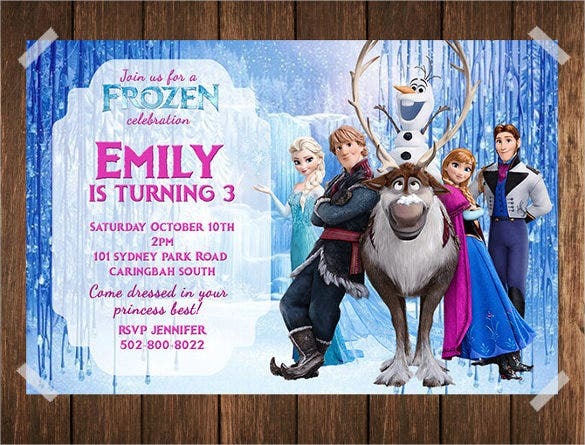 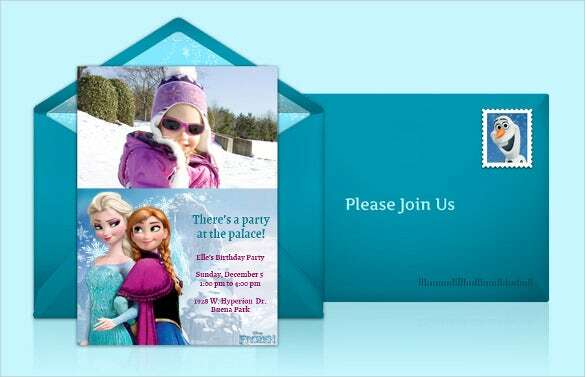 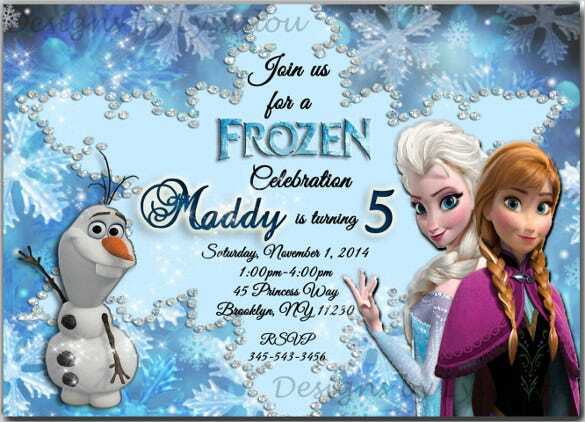 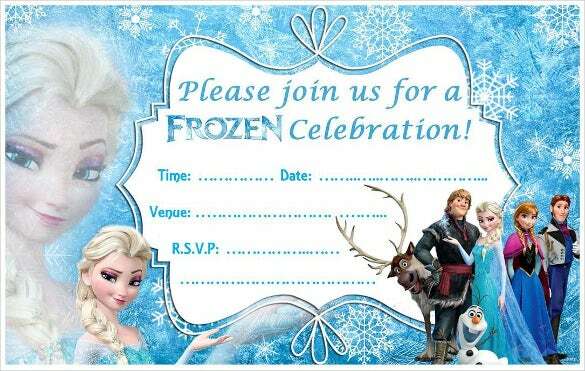 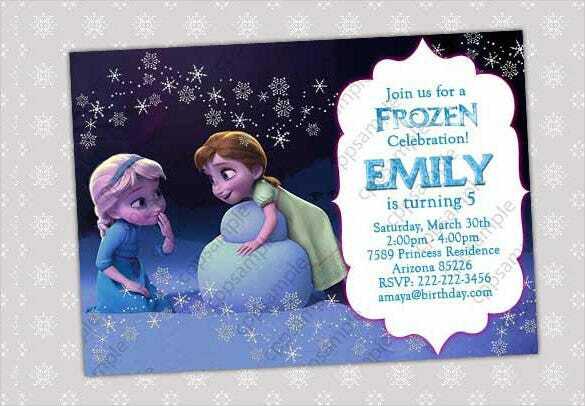 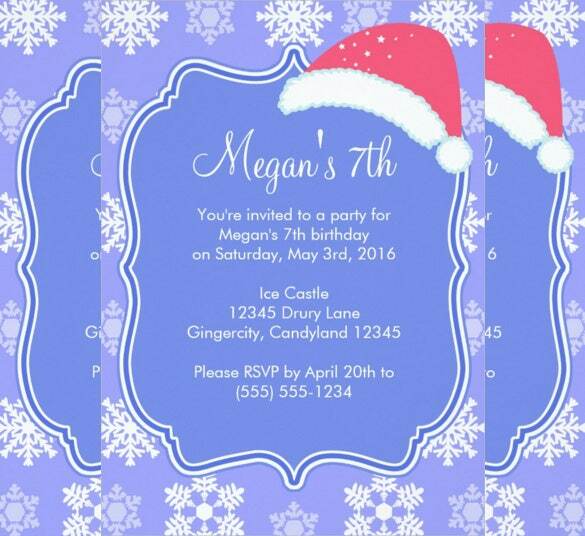 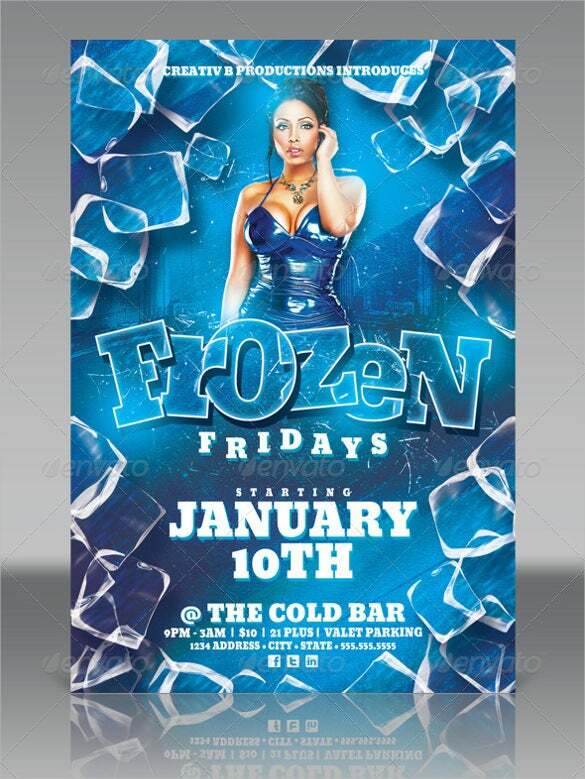 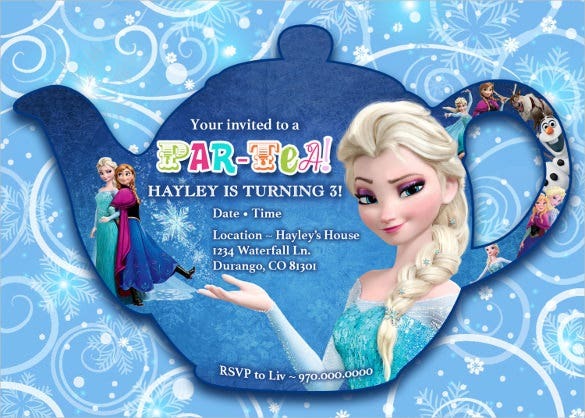 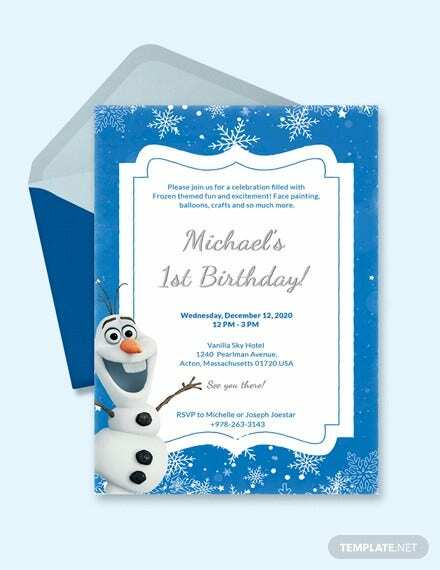 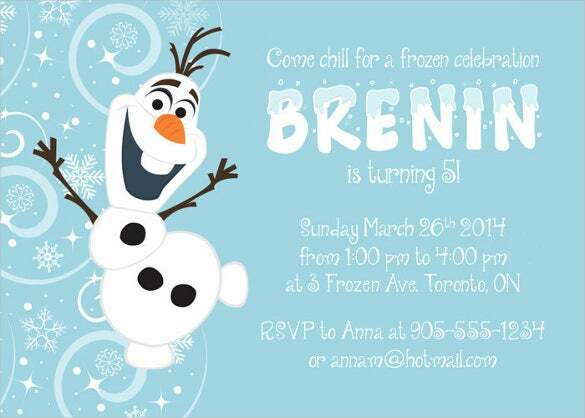 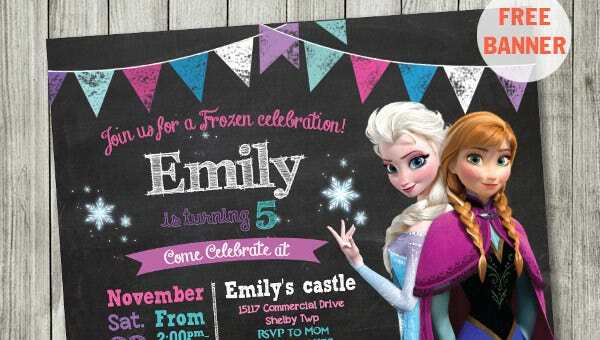 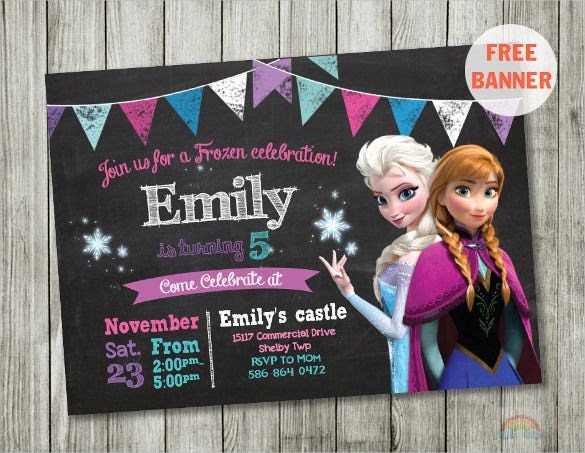 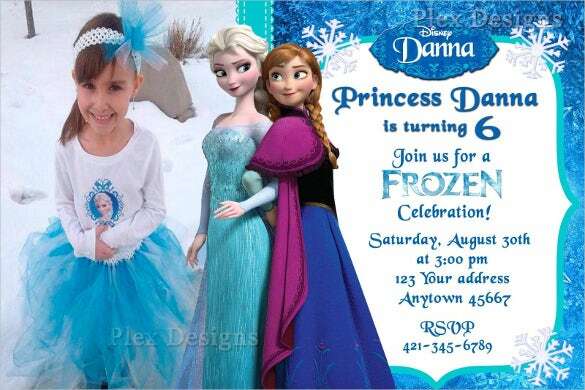 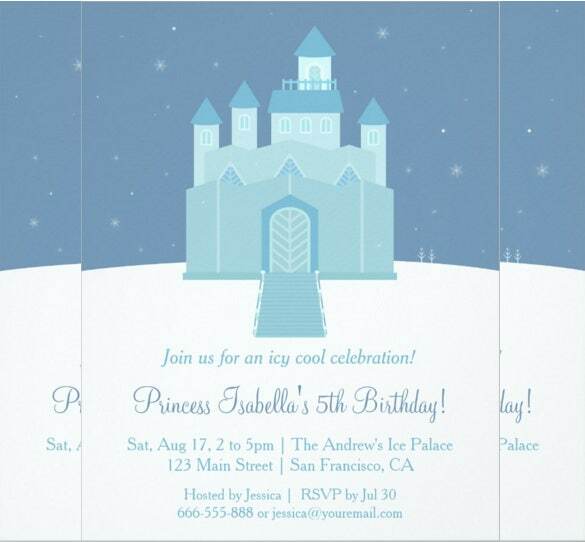 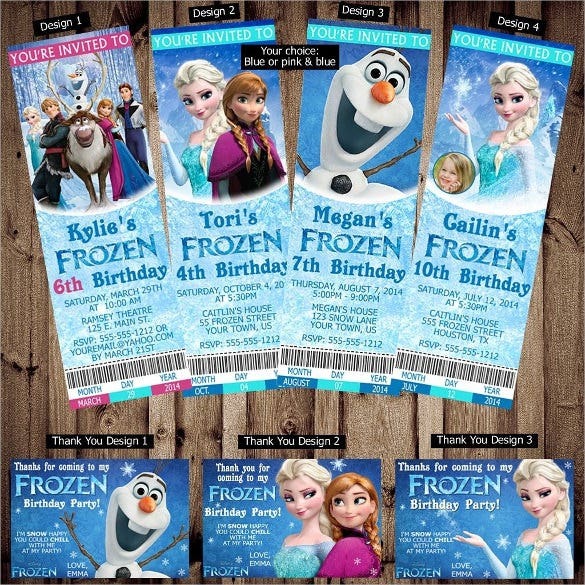 We provide many examples in varying formats to help you come up with the right formula for the frozen based birthday invitation.